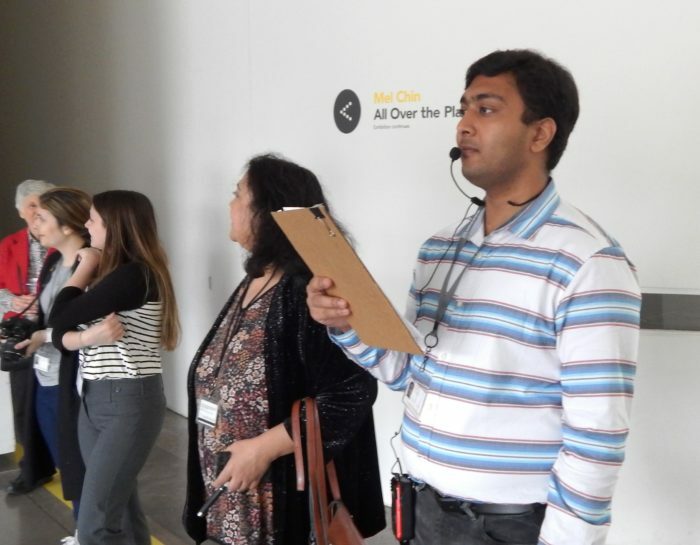 The Queens Museum’s Art Access program directed by Mitra Dejkameh, is designed to allow audiences of all abilities to enjoy a personal connection to art and cultural institutions. Accessibility and community engagement lie at the heart of the program which continues to grow and make connections in a multidimensional way. 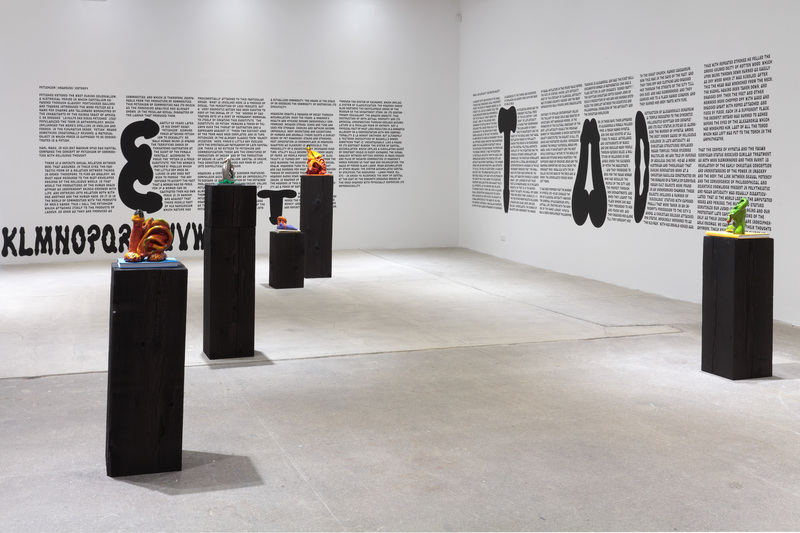 COPE NYC, under the direction of Vida Sabbaghi, is a transdisciplinary art and design organization which collaborates with ArtAccess through academic and experiential programs. Their teaching artists and art therapists tailor customized workshops to meet the needs of specific populations with diverse abilities. They scaffold a student’s skills to higher goals and expectations. The internship program for young adults with diverse abilities is a good example. 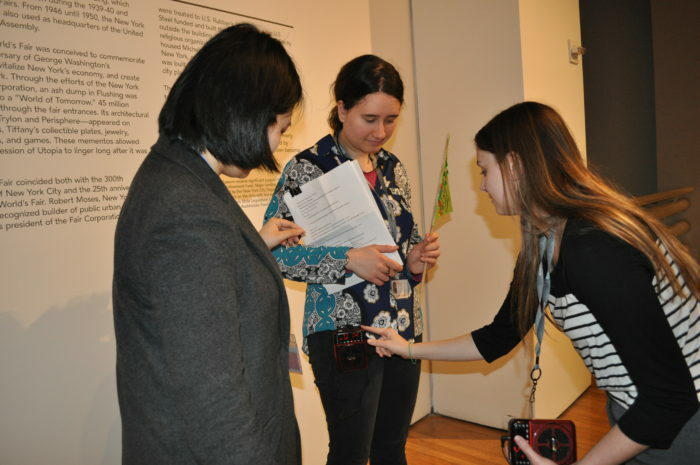 Through the Rosemary Kennedy VSA Initiative, ArtAccess and COPE NYC museum educators trained five interns about the mission of the museum, the history of the Panorama, how to greet visitors, and how to answer questions about NYC. They modified their professional development methods to meet the needs of the interns by: learning about the Panorama through digital presentations, handouts, and tours; working in teams for each borough; and preparing dialogues in their own distinct style. On the day of the tour when a group of twenty students and their teachers came to their stations, some interns preferred to share many facts, while others preferred to use visual thinking strategy. A few used both methods. The five COPE NYC interns dressed professionally as they prepared to give a tour of the Panorama of the City of New York. Originally built for the 1964/65 Worlds’ Fair, the Panorama has since become an intersection for education, exhibitions, and trivia events on New York City. Thousands of NYC students visit the Panorama every year, as NYC teachers utilize it as a tool for learning about geography, community, architectures, and science. 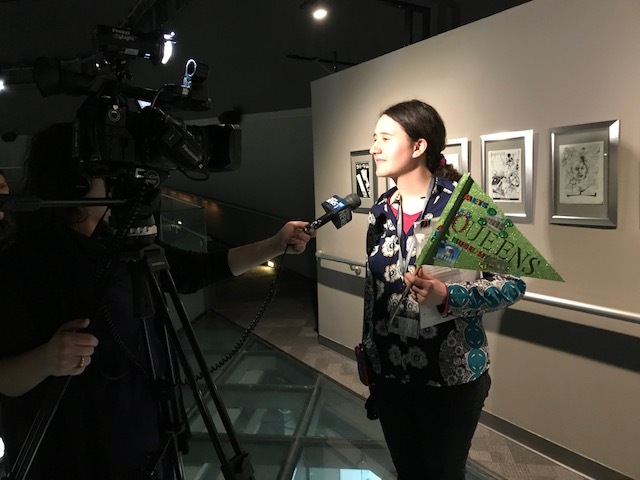 On April 12, for the first time since its inception, the Panorama tour was led by students with varying intellectual abilities to a group of high school students who also have varying intellectual, emotional, physical abilities including autism. 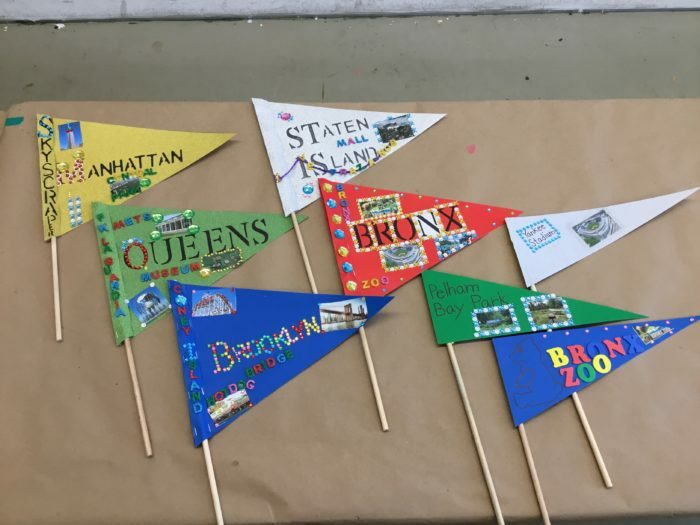 The interns-in-training created flags to hold when stationed next to a designated borough. The flags had text spelling out each borough (see image) and also imagery of iconic landmarks. 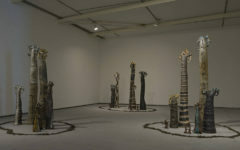 This became a tangible support system which they relied on as (a) a visual tool to reinforce what they learned, (b) a physical aid to support them standing next to the boroughs, and, (c) text. The interns were excited and a little nervous about giving a tour. They had difficulty projecting their voices in a noisy environment. Adjustable headsets to amplify their voices helped a lot. 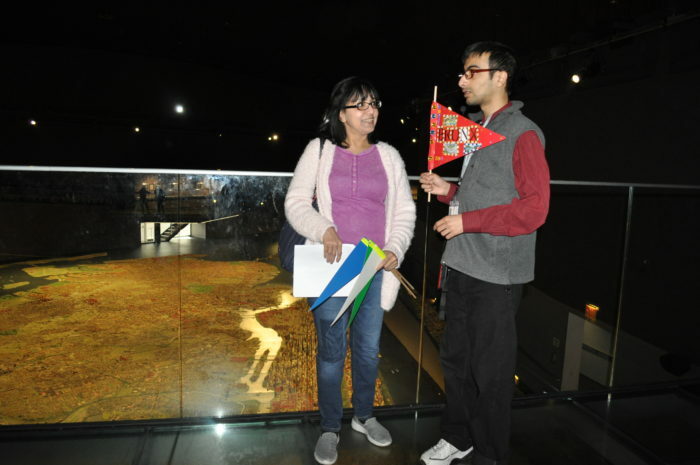 (Future tours might incorporate translation headsets so that only the group can hear, while other visitors of the museum will not.) The museum educators and the students learned a lot while working together. They all felt that the April 12 tour was a great success. This rewarding experience was true to the Rosemary Kennedy VSA initiative which promotes opportunities for young adults with diverse abilities to work with cultural arts institutions for career development. 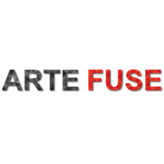 Arte Fuse brings visibility to the arts by highlighting local, national, and international exhibits with a focus on artists, designers, curators, and cultural arts institutions. The museum educators are thankful that Arte Fuse is providing a platform for the arts for these interns, and the Queens Museum educational program, especially ArtAccess and its partner, COPE NYC. More media supporting equality in the arts reminds all that the arts are one of the most humanitarian ways to bring people together. I must say how incredibly inspirational this is! Programs like COPE NYC and ArtAccess must continue being supported in their expansion. As someone who works with students who have Intellectual Disabilites, I know how transformative programs like COPE NYC and ArtAccess can be for this population. Look at all the amazing work covered here! They provide students with varying abilities opportunities to engage in real ways within their community while fostering an appreciation for the arts. There is so much possibility here and I am forever grateful to these innovative programs and what they continue to offer! I think this is a great program. 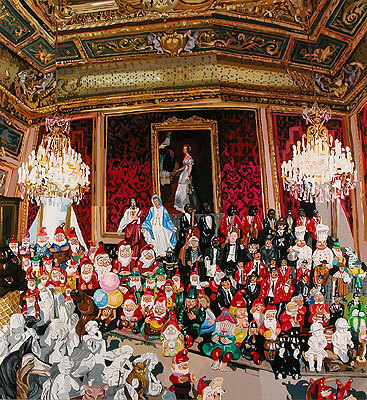 It is so nice to see how art can bring people together and make this world a better place. Love it!